Cincinnati Bengals tickets and travel packages are on sale now with PRIMESPORT, the Official Fan Travel & Hospitality Partner of the Cincinnati Bengals. Your Bengals will take on the Los Angeles Rams in London in 2019. Take your Bengals pride to the next level this season with an Official Bengals Fan Package from PRIMESPORT. 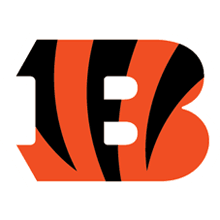 Sign up for Cincinnati Bengals game information! Do you want to buy Bengals tickets but want more than just a seat to the game at Paul Brown Stadium? PRIMESPORT and the Cincinnati Bengals have teamed up to produce Official Ticket Packages that offer access to the Bengals Pregame Party at Club PRIMESPORT with every Cincinnati Bengals ticket purchased. Browse the upcoming home games on the 2019 Bengals schedule, choose your game, pick your seat, and away you go! It's a great way for Bengals fans to kill two birds with one stone and enjoy a high-quality tailgate experience on game day. But what if you've already purchased your Cincinnati Bengals tickets, and you're searching for an official hospitality event to go along with them? We also offer the option to buy tickets to the Bengals Official Pregame Party at Club PRIMESPORT by themselves. Opening two hours prior to kickoff, these VIP fan tailgate passes will grant you access to a variety of food and beverage options, entertainment, and special guest appearances. This Official Pregame fan event is available during the 2019 season for all Bengals home games. For those Bengals fans looking for a road trip to support the team, PRIMESPORT and the Cincinnati Bengals are also pleased to offer Official Hotel Packages to select home and away games. Whether you're an out of towner in need of a hotel room near Paul Brown Stadium on game day, or Bengals fan scheduling a yearly away game vacation, there is something for everyone. Bengals hotel travel packages for home games include deluxe hotel accommodations, Bengals game tickets, and Official Tailgate access. Bengals away game hotel packages also include transportation to the stadium on game day. PRIMESPORT is the Official Fan Travel & Hospitality Partner of the Cincinnati Bengals. The terms NFL® and Super Bowl® are trademarks of the National Football League. PRIMESPORT is a division of On Location Experiences.